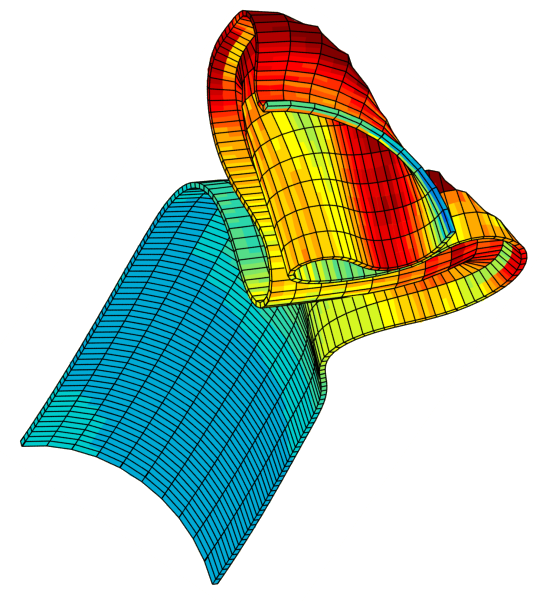 Zébulon is the state-of-the-art finite element solver of the Z-set suite. It addresses the entire range of problems arising in structural mechanics. From the very beginning, the code has specialized in highly non-linear material models and has since evolved to include thermal and diffusion problems and to handle the coupling of those models. Material models are natively managed by Z-mat: they range from simple isotropic elasticity to anisotropic elasto-viscoplasticity through complex polymer behaviors, damageable composites and even multiscale models. Non-linearities arising from material models, finite transformations or contact friction are handled by a complete set of solvers, offering full control of both physical and numerical convergence parameters. A thermal analysis module solves steady state and transient thermal problems; multiphase Fick’s diffusion problems are handled as well. In fact, any other type of elliptic or parabolic problems can be addressed similarly. A weak coupling module handles an arbitrary number of such problems (e.g., thermo-mechanical-diffusion analysis). 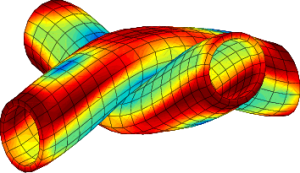 To deal with more complex multi-physics models, Zébulon also comes with external coupling capabilities, with fluid flow or radiation software packages for instance. Crack propagation is carried out by the Z-cracks module. With both remeshing techniques and X-FEM/level-sets strategies, Z-cracks is a very robust and efficient tool for fatigue or brittle crack propagation problems. Zébulon’s implicit solver handles static or transient dynamic problems. Using one of its eigen-mode solvers, a modal analysis can also be performed. – on distributed memory cluster architectures, the domain decomposition technique is implemented. Two methods are available for extending the code capabilities: Z-program or a plug-in mechanism. Z-program is a complete interpreted scripting language based on C++ and that allows interaction with the main internal objects of Z-set. An unlimited number of user extensions can be handled within the Object Oriented architecture by using the derivation/plug-in mechanism. Specific boundary conditions, new element formulations, post-increment procedures, post-processing computations and many other features can be developed and linked to the main code in this way.